A few weeks ago I published a first impression review of the Saucony Kinvara 5 after taking them out for an initial 11 mile run. I’ve now run a bit over 40 miles total on the shoes, and I just returned from a 14 mile run in them earlier today. I though I’d share a brief update on my experience with the shoe. First off, I’ll say that pretty much everything positive I said in the initial Kinvara 5 review still holds. The toebox on the K5 is fantastic – it fits my foot perfectly, and may be the roomiest of any iteration of the Kinvara. The sole has just the right amount of cush for my taste, and they have performed great on two 10+ mile runs and several shorter runs. I’d have no hesitation using these in a marathon – in fact, if I run one this Fall they are likely the early frontrunner for race day (still deciding on Fall races…). The only real negative issue I encountered on my first run in the Kinvara 5 was some abrasion leading to hot spots on the outsides of both big toes. I’m happy to report that this issue has not recurred – I felt no discomfort in this area over 14 hilly miles earlier today. Some people have asked me about the puffy tongue and more plushly cushioned ankle collar in the Kinvara 5 – neither have bothered me at all. In fact, I like the added padding in both areas. I have also seen some comments about the ankle collar feeling high/tall in this shoe. Again, not an issue for me so far. After 40 miles in the Kinvara 5, I’m pretty confident that they will wind up on my list of top shoes of 2014. I might go so far as to say that this is my favorite Kinvara so far. After a disappointing iteration in v4, my old friend has returned in top form – the Kinvara is back! 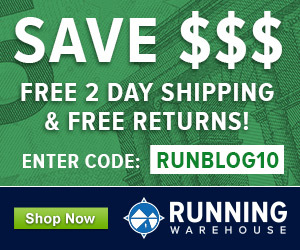 The Saucony Kinvara 5 is available at Running Warehouse, Zappos, and Amazon.com. Outside of the US they can be purchased at Wiggle. So glad to hear! I loved v3 except for the high heel collar, which made me buy socks with the lip on the back. V4 on the other hand… I tore through pair 1 after less than 100 miles. After increasing my mileage in pair 2, I found that the toe box tightness became a problem for long runs, even though I sized up a whole number to compensate for the narrownes. In any case, I’ve been waiting for your take on v5 and I’ll be picking mine up this week! What I like the most about the Kinvara series is the lightness and flexibility of the bottom. I feel close to the ground and a very natural stride. Has anything changed there? Nope, sole is cushy and flexible like previous versions. Love it! I liked the Kinvara 3 and 4, but I also really like the way the Kinvara 5 runs. I feels bit more “springy”, even though it is softer. But, I sent mine back to exchange after 2 runs. The stretchy material on the inside of the shoe under the laces on the inside of the left shoe (it was there on the 4 also) was puffed out and later in the run it caused a hot spot and rubbing. Hopefully the replacement will be better. Other than that issue, I really liked the shoe. One question, I noticed that on the Kinvara 3, the sole of the shoe is more flat, with no grooves, the 4 a little less so, and on the 5, and the Viratta 2 also, there is a deep groove running down the length of the shoe. Can someone tell me the purpose of this, and your opinion, I guess it is to flex, but wouldn’t that decrease “stability”? By stability, I don’t mean the old neutral vs. stability argument, I mean just landing on a more stable foundation (flatter surface). I am not yet sure if I like these deep grooves or not. I just got a pair of the GoMeb Speed 2 shoes and they have no grooves. I have a wide foot, but the Speed 2’s feel good on my feet. Snug, but no in a bad way. I look forward to taking them out on a run, and maybe using them next Monday in the Bolder Boulder. Sounds like you had the same problem I had. If that is the case, I might have the same problem with the replacement shoes they are sending. Thanks for the reply. It is cause for concern for me for sure. Have not had issues with this myself. At first I was ambivalent about the Pro-Lock, but no I kind of like it. Glad you like it. I was fine with the Kinvara 3 and 4, the 5 is a no go for me. Thanks Saucony for ruining my go to marathon shoe. Now I am back to square one. I just received the replacement paid and looking at them, other than the shoddy construction, there is an obvious issue with the mesh/stretchy fabric by the Pro-Lock, plastic eye piece. I can clearly see that as I run, when the collar slips to one site from center, it exposes the mesh/stretchy fabric, which bunches up and rubs my foot raw. And, as I said, the construction is crap. Why or why did Saucony screw this up! I am major bummed. Tongue slipping sounds more like a fit issue than a construction issue. This K5 fits larger almost all around to me than the K4, which is why it works for me and the K4 did not. Wonder if you are simply seeing the opposite effect and the K5 is just not snug enough in the midfoot which allows the tongue to slip and expose the bunching? I can see what you are talking about with the potential for fabric bunching in that area, but as I have not experienced tongue slippage I don’t think it’s an issue for me. Funny, good fit, or bad fit, I have never had a shoe that didn’t have tongue slippage to one side or the other. You must be luckier than me in that regard. And, the construction is most definitely bad on these new Kinvara’s. In fact, to me, Saucony is slipping in this regard as the new Viratta 2 doesn’t seem as good either. I think you are right though that you and I have a completely different foot type and what works for you, doesn’t work for me. But, your reviews are still very helpful, and much appreciated. Maybe some flex, but I think it also makes the protruding pods on the outer margin bigger/taller and this may explain why the shoe feels a bit softer than previous versions to me. 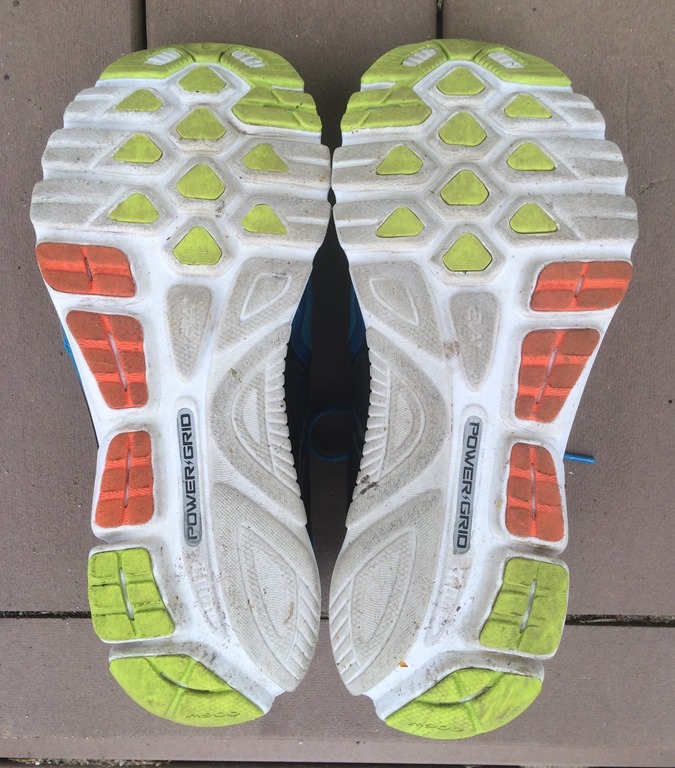 I wanted to ask you about the position of the carbon rubber on the bottom of the Kinvara 5. If you look at the outsole, you’ll notice some added in the midfoot area (the red rubber). The addition of carbon rubber around the heel and forefoot (triangular pattern) are what I notice in the majority of running shoes, but what’s your take on the red carbon rubber in the midfoot? Is it to allow better transition or for protecting that area of the shoe for midfoot strikers? Or both? Thanks for any thoughts. I think the idea is to add durability for midfoot strikers. I do get some wear in this area since my stride varies from mild heel to midfoot, but never too extensive. I’d like to see some a bit further forward. As a former Kinvara 1 wearer, I wanted to like the changes to the 5 upper. However, having been recently wearing the Mirage 3 (love the upper and hate everything else) and Mizuno Sayonara, the 5’s upper felt weird/sloppy to me. I did like the heel a lot, but the rest felt funky and the toe box seemed baggy. Guess my search continues! I agree on the Mirage 3 – fantastic upper but horrible, brick-like sole. The K5 upper works well for me possibly because I have a high-volume foot. Just bought a pair of Kinvara 5s and love them. Also loved the original Kinvaras but the 2, 3, and 4 were not comfortable. Funny how people have such different experiences with this model. The 5 reminds me of the Trigon 5 Ride – snug but not tight, really like part of the foot. And so light. Is the heel counter flexible enough for somebody with Haglund heels? I’m looking for a low drop cushioning shoe with large toe box and soft heel counter(or no heel counter) for long runs. Tough call – the plastic in the heel counter is flexible, and extends about halfway up the back of the shoe. It’s more substantial than in previous Kinvaras. You might take a look at the Asics Gel Lyte33 for a comparable shoe that lacks a plastic heel counter. looks like the high abrasive rubber for the sole is in the right spots for me. I should give this shoe a go. I have been meaning to for years. Interesting, the shofitr app over at runningwarehouse shows the Kinvara 5 and Free 4.0 flyknit almost identical in 3D, Fit and Arch. I love the Free 4.0 flyknit so I’m going to try the K5 too. Thanks for the reviews! FYI, as of 5/31/14 (ordinary guy here always looking for deals): for Amazon Prime members, code: RUNSHO14 will make the K5 $80 w/ free shipping. I have 50 miles on my pair, I ran a half marathon on June 1st and got a small hot spot on the outside of my right big toe. It might have been a lacing issue, they do have a nice big toe box. I agree that this can be a marathon shoe. That was the same spot I had a hotspot on my first few runs in them. Problem seems to have abated since then. I have been a Kinvara dedicated runner from v1-3, skipped getting the 4 and was super excited when the 5 came out. Then when I received my pair I was shocked at the redesign, what I loved about the previous versions were the low profile heel design and the simple elegance of the shoe. Now I feel like they have over-engineered the thing. (thick heel cushioning, “pro-lock’ etc) Plus, after running a few times in them I developed heel pain. To test this I switched between my NB minimus 0, Viratta and my old K3s and none reproduced the heel pain I had in the K5. I realize all feet are different but Saucony has succeeded in designing mine out of this shoe and I am really disappointed. 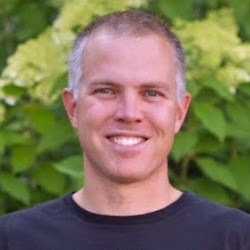 Thank you Peter for your continued awesome wealth of knowledge and great reviews. Thanks for sharing your thoughts Scott. Unfortunately this is the nature of shoe updates – some will benefit from them, others will not like them. Human variability makes it impossible that a shoe will work for everyone unfortunately. True, but I think Scott’s point is that it is one thing to update a shoe – we all know to expect that, but it is another thing to change the concept of the shoe. As you have pointed out in regards to the Altra the One shoe, perhaps Saucony should have created a new model, and left the less engineered concept intact for the Kinvara. To me the Kinvara 4, and earlier versions were conceptually similar, even if some features were tweaked, leading to some being happy with the Kinvara 4, and others, like you, being unhappy with it. With the Kinvara 5 they changed the overall design concept for the shoe from a more snug, racing flat type shoe, with less engineering, to a more “plush” over-engineered shoe. In my mind, that will make a lot more people unhappy, than happy, in terms of how the shoe is received by runners who have been running on the earlier versions of the shoe. Just my two cents, but I just really wanted to respond to your point, which I fully understand, and which you have stated in regards to other shoes, but which, IMHO, in this case, the argument you posit doesn’t apply. Again, like Scott, I appreciate your reviews and the time you spend on all of this. My disagreement with you on this point, does in no way indicate my lack of respect for what you do. In fact, I think healthy and respectful disagreements are a good thing. Disagreement is a good thing, no worries there! Different opinions are always valued here as it helps people to make more informed decisions. Is this considerably softer than the Mirage? The Mirage has been my main shoe for awhile now, and it’s time for something a bit more cushioned. The Mirage feels like a brick to me, Kinvara is way softer. 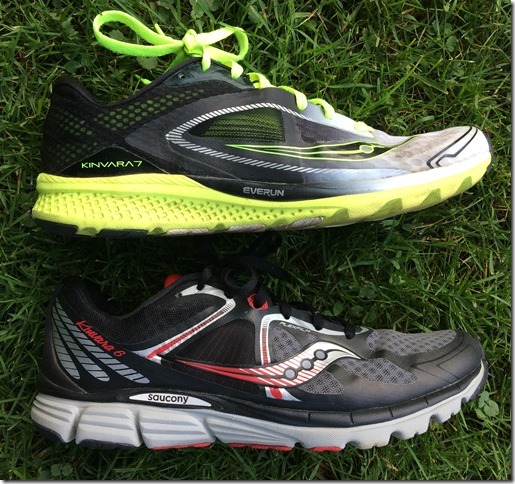 How does the Kinvara 5 compare to the Fastwitch 6? Kinvara is a much softer shoe, that would be the major difference. Deciding between the two. I liked the softness of the previous Kinvaras so might stick with them. Kinvara is a good counterpart to the Pegasus for something a bit lighter and faster. Similar niche but different geometry and weight to mix up the feel. Glad you’re liking them! Sitter precis och tittar på en kartong av Saucony Kinvara 5. Har inte testat det märket tidigare men blev frälst vid utprovning av löpskor. Så skön på foten, ska testspringa den imorgon. Excellent review Peter! Just wanted to let you know that your reviews are highly appreciated and you do a great job! I’ve put in close to 100 miles so far in these, and love them, except for the bunching in the inner top part of the tongue. I haven’t quite figured out how to remedy this. It’s not bad on shorter runs, but anything over 10 miles and I’m left with a sore spot on the inner top of each foot. Such an easy fix that I hope saucony can improve. I don’t understand how they didn’t pick up on this issue when making/testing the shoe. Ashley, I agree 100%. In fact, I can’t wear the Kinvara 5 for that reason. It is the ProLock feature I believe. I am still rotating the Kinvara 4 which I like a lot, but the 5 is a no go for me. I agree that it should have been easy to catch, and I really hope they fix it so I can start rotating in new Kinvara’s again in the future. I highly recommend you check out the Skechers GoMeb Speed 2 shoe. I love it! I’m glad to read that I’m not the only one with this issue. I’m highly considering cutting out a small piece of the fabric that is bunching. I hate to do an cutting of the shoes, but it seems so simple to fix this issue. I inspected them closely and it does not seem it would do any damage to the shoe or make it prone to ripping in other places. I just love the fit of these, minus this tiny issue, which after 20 miles feels like a major issue! I will also check out the skechers shoes. I will have to see if I can find somewhere that sells them and offers free returns. Me to – I am glad to hear I am not the only one who is unhappy with the ProLock. I can’t believe their wear testers didn’t catch that. I hate modifying shoes, so for me the Kinvara 5 is a no go. I like the Viratta but it is terrible at picking up rocks so it limits me to “clean” roads. I hope the Kinvara 5 corrects the ProLock issue. Other than that I am enjoying my Skechers GoMeb Speed 2 shoes, and my Skechers GoRun 3 Shoes. You can order Skechers from Shoebuy.com at 20% off just about any day. You can return them free, but you can’t road test them like you can at Runningwarehouse. I prefer to shop at Runningwarehouse, and wish they carried Skechers. I think you would be able to tell if you like them from trying them on, but not sure. So I did a little work on my kinvaras. I simply folded over the fabric and sewed it to the inner side of the shoe. I put about 8 stitches in each shoe, easily removable if need be. After an 8 an 12 mile run I think it’s safe to say I’ve solved the issue of bunching fabric. I haven’t felt the extra material at all. It was an easy fix! Glad you found a fix! Good to hear. For me, I am not interested in fixing the design defect in their shoe. I am hoping they correct the issue in the next version. Otherwise, the Kinvara is a no-go for me. But, I am glad to hear that you found a solution. Thank you for the review! I got these because I was ready for a lighter, lower profile shoe after running in Mizuno Inspire. I love the Mizunos, but I really didn’t need the stability, and as my form has improved significantly, I needed something very light and quick. However, I’m experiencing a hot spot on the outside of my pinky toes because the mesh seam (I think?) is tugging across that area with each push off. After only going 2 miles, I had to quit because I was bleeding. Never had this happen. Any ideas? Solutions? To note, I lace my shoes in a way that creates horizontal lines across the top because I have very high arches. Very disappointing. Hmmm…is the sizing right? I had a bit of hot spot on my big toe at first, but never felt anything on my pinky toe. Maybe try loosening up the bottom-most lace row? Hi Peter, First time with a comment but your site is my go-to site for anything related to shoes! I have literally worn 29 pairs of Kinvaras (K1-K4) and absolutely swear by them. But the K5 isn’t working for me. It’s too soft, and after 3-4 days starts to bother my left achilles and right hip (for some reason). 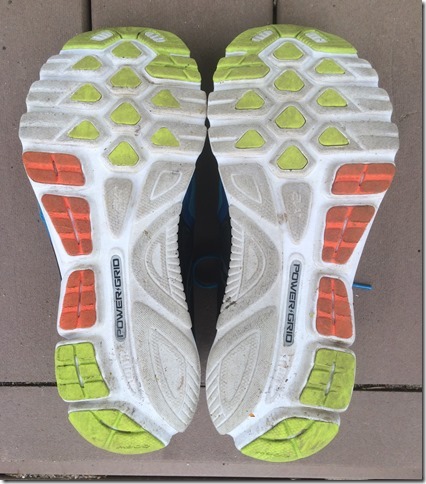 I have the same problem with the Brooks Pure Flow…there’s something about super soft shoes that subtly causes mechanics issues for me. I’m going to stock up on the K3 and K4, but feel like I need to start looking for alternatives. What would you recommend for a light-weight shoe with 3-6mm heel drop and some decent cushioning but firmer than the K5? If it helps, I’m a pretty serious masters runner (70-80 miles/week and run 16:30ish for 5k). I’ve worn the Minimus but I run mostly on hard surfaces and do appreciate some cushioning. I also love the A5 but am not sure my body can handle a true flat as daily trainer. Thanks so much for any thoughts! Have you ever tried a Newton shoe? The Kismet and Fate are nice options, but the forefoot lugs can take some getting used to. If you can handle a pointy toebox, the NB Freshfoam 980 is worth a look. And if you can tolerate a bit higher drop the adidas Adios Boost and New Balance 1400v2 are solid shoes. 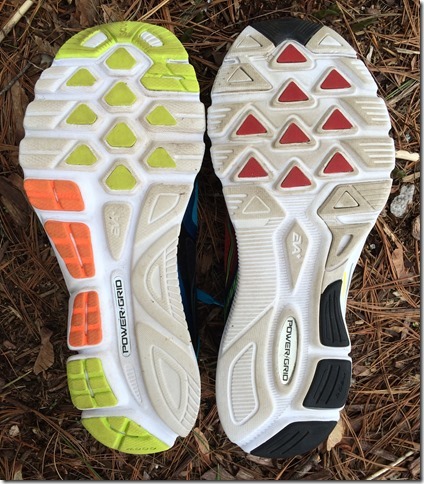 I had similar issues with the K5, and tried the Saucony Mirage, which works well for me. The Mirage is considerably firmer compared to the Kinvara, so yes, another one that is worth a look. Thanks for the responses. I will definitely look at the NB Fresh Foam and Newton Fate. I can’t wear stability shoes, so I’m thinking the Mirage won’t work for me. The PureConnect fits kind of funny – long and narrowish. Ride was good, but fit wasn’t great for me. PI N1 is very different from the Kinvara – very firm sole but a smooth ride that I wound up liking quite a bit. Might be worth a look. Thanks, Peter. I appreciate your help! How many miles/kilometers can you run with these shoes. Do you think it’s possible to use them for 800 km? Hi Lars, I got 940 miles out of my Kinvara 1s. I am currently on about 420 miles on my 3s. The ones were in quite bad shape by the 940 mark, but the 3s still feel like new. I may have made a mistake by buying 4s. I ran 100 meters in them and then bought them! Was going to use them for the Comrades Marathon (55 miles), but may need to rethink that. Quick question on the sizing. I bought the 4’s on sale last year in an 11 but they’re a little too short for my foot. Width wise they fit well but not enough room at the front of my toes and when I run they become uncomfortable. Saw in an earlier comment you said the 5’s feel a bit looser all around. Do you recommend getting a size 11 in the 5’s or getting an 11.5? Hmm…tough call. I wear same size in both, but the 5’s are a bit roomier. I think I’d stay same size based on length. I have been having serious problems with my third toe. I tried a pair of Hoka Clifton’s and ran a marathon in them. I didn’t really have the time I would have wanted to break them in, but do some 6-mile and 10-mile runs. But, I ended up with a huge blood blister on my third toe and blisters on the bottom of my feet. I have read a lot about the Altra shoes and their wide toe-box, how do these compare? The Kinvara is not as wide as an Altra – if wide is what you need the Altra Instinct or Torin might be worth a shot. The Kinvara will fit more like the Clifton, but it’s not as squishy underfoot, not sure if the latter might have contributed to your blister issues.